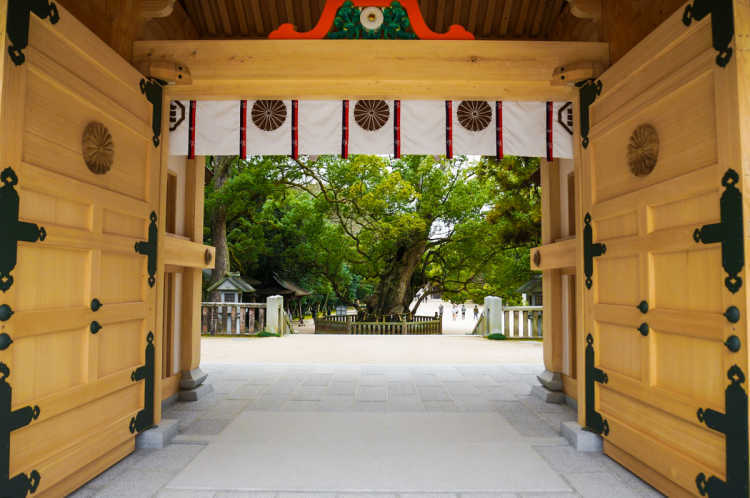 In Omi-shima called an island of God, Oyamazumi Shrine has many huge trees such as a 2000 years old sacred tree and the Japan's oldest camphor tree. Their outstanding scale and energy are very mysterious. Must visit spot on the Shimanami-kaido Expressway.